You don't need to settle for lower quality brushes because Paragon offers these high end brushes at very competitive prices. You will love them after you try them. 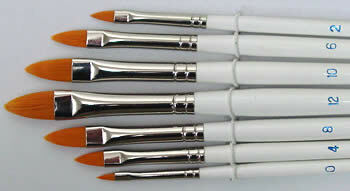 The Long's watercolor brushes have short white wooden handles with blue tail wrapped in seamless nickel ferrules.